On the 15th November the Worshipful Master (Ken Rowland) attended Pambulla Daylight Lodge for their Installation Meeting. The 27th annual installation ceremony was the re-installation of VW Bro. Kevin Mulcahy in the presence of the Grand Master’s representative, VW Bro. 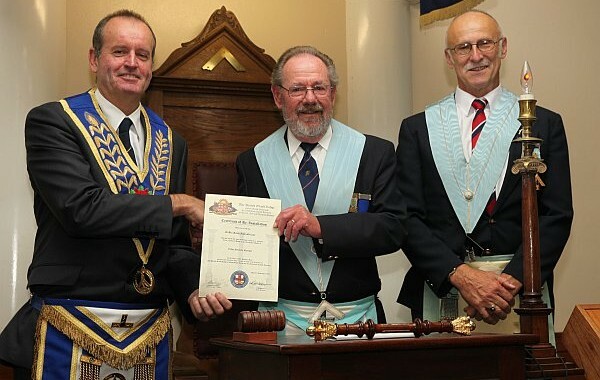 Neil Dawson, the District Grand Inspector of Workings for District 49 who is also an Officer of the Lodge. 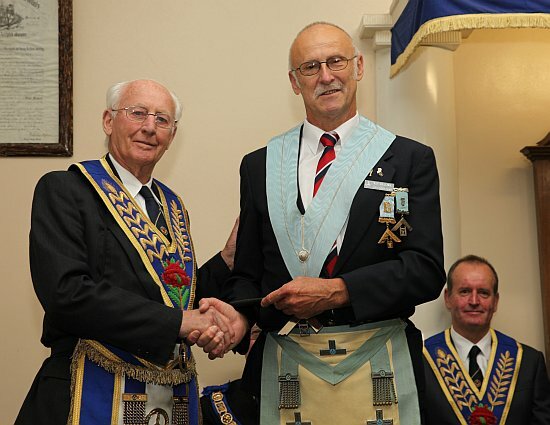 The ceremony was carried out by the outgoing Master, W Bro. Alf Gallina. The Grand Director of Ceremonies for the day was RW Bro. Warren Bruce, who is also Master of the Mountain Lodge. Alf Gallina received his Immediate Past Master’s jewel from RW Bro Wal Hopkinson, (A Member of Lodge Ethos). 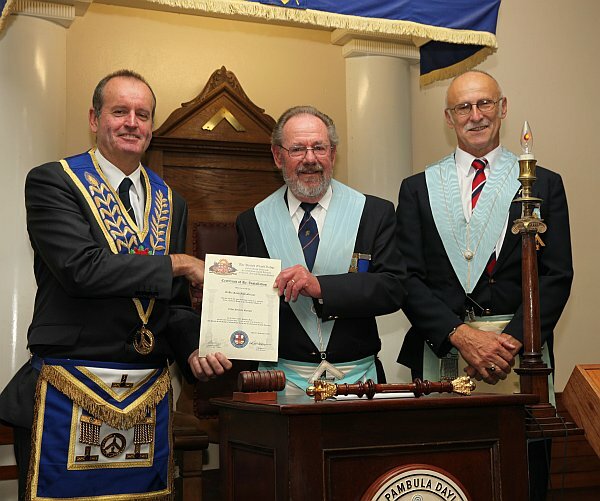 Wal’s son was the Master of a Canberra Lodge at the same time Alf was Master of Lodge Capitol in Canberra. A Group photograph of all that attended the re installation.